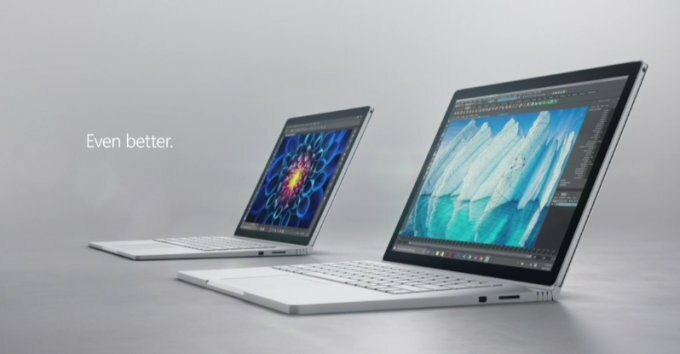 Surface Book i7 is Microsoft’s new Surface Book 2-in-1 lap top. It is as per makers a prodigious, powerful and scrupulously crafted laptop. It possesses detachable 13.5 inch Pixel Sense Display and is optimized for Pen and touch. Its six million pixel will provide you high resolution and bring your creations to life. Once detached you can flip the screen 180 degrees and reattach it to the integrated keyboard to present to watch movies, or design with Surface Pen. You will also be offered with Windows Ink Workspace, with quick access to sticky notes, a blank page for sketching, or a quick screenshot that you can share. It has full power of a high performance laptop and adaptability of a tablet. It has been built on to run all the professional-grade software. It has a Core i5 processor. It is thin enough to take anywhere without costing performance. It is of a Magnesium chassis and an innovative Dynamic Fulcrum Hinge so that it is balanced at any angle. It also offers about 30% longer battery life. The entire thermal system of the laptop has been re-formed to include a second fan under the hood and hyperbaric cooling. It has about more than 16 hours of battery life. The new laptop is already ready for shipping from November 10. It has a 8GB or 16GB RAM, 128GB of storage, 5.0megapixel front cam, 8.0 megapixel rear-facing camera with autofocus, dual microphones, front-facing stereo speakers with Dolby Auto Premium, 1 year limited hardware warranty, 802.11ac Wi-Fi wireless networking; IEEE 802.11a/b/g/n compatible, Bluetooth 4.0v. It will be available for $1350.